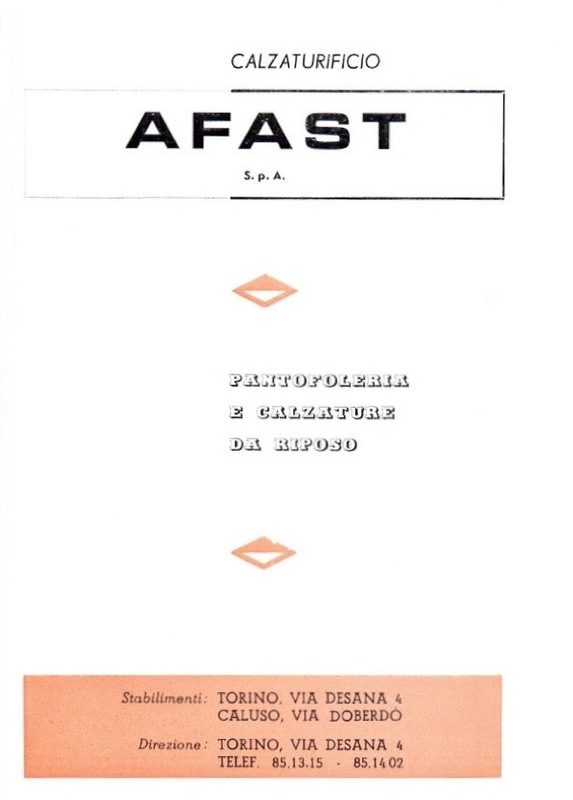 Giuseppe Sabioni founded A.F.A.S.T. in Turin back in 1921, an entrepreneur coming from Vigevano, the footwear Italian capital. However, the real driving force of the business was his son Andrea, already AFAST's CEO, when Giuseppe died in 1928. Andrea combined the twin power of the leading footwear production areas of the time: Vigevano and Varese, as Andrea Sabioni’s wife Maria Luisa was the daughter of comm. Guido Trolli, Ermenegildo's brother, founder of the main shoe factory in Italy at that time, Calzaturificio di Varese (Guido Trolli served as Calzaturificio di Varese honorary president after his brother's death in 1969). Guido Trolli was also a board member of AFAST. 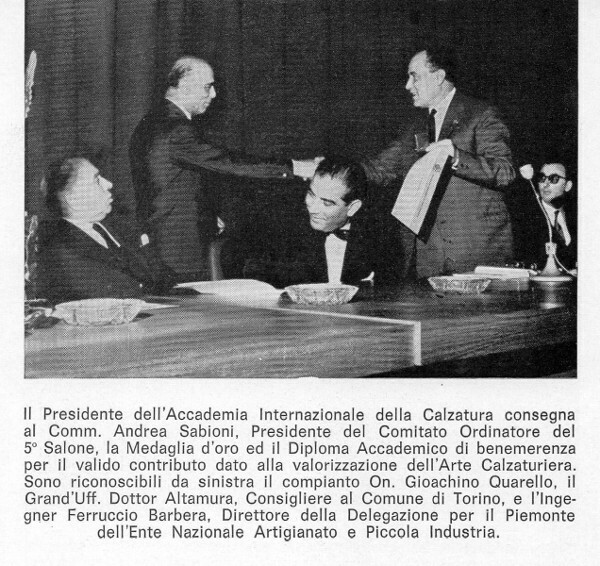 Later, in turn, Andrea Sabioni became a board member at the Calzaturificio di Varese. The first A.F.A.S.T. trademark is dated 1921, with the name Riry for elegant slippers and shoes. In 1923 the company management did not hide their political orientations giving a production line the name Impera. It was the year after Mussolini’s march on Rome, a blitz that started the fascist period in Italy. Knighted in 1931, Andrea Sabioni was a member of Turin's fascist group “Dario Pini”, then head of the group “Mario Sonzini”. He later joined the Voluntary Militia for National Security (MVSN) while being 1) director of a section of the Fascist Industrial Union, 2) treasurer of the National Fascist Federation for Leather Industries and 3) president of Shoe Industries Trade Union for the Turin Province. A busy man in all fascist things. AFAST board of directors was also partial to knighthood: in addition to Sabioni and Trolli there was Enrico Filippini, knighted in 1935 (Technical Director since the birth of the company); CFO Alessandro Fiandra (he later left AFAST to found his own company named Saua Shoes); and company attorney Gustavo Pizzirani. 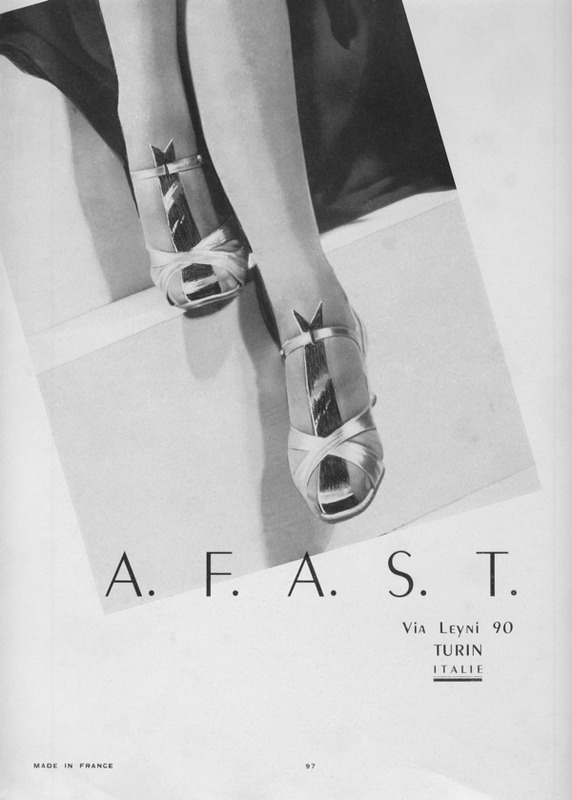 So, when the autarchy law struck hard AFAST - with an army of knights and fascist connections - managed to keep advertise their delicate kidskin slippers through the pages of fashion magazines coming from the enemy France. After WW2 the company moved its headquarter from via Leynì to via Desana and built another production plant in Caluso (Turin greater area). 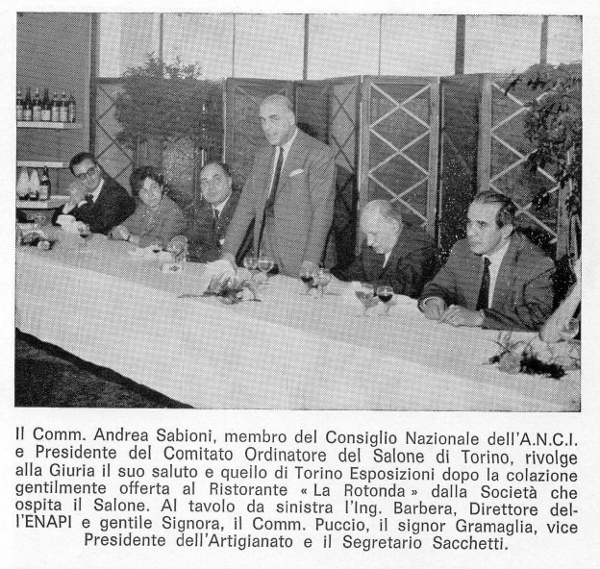 In the Sixties Andrea Sabioni became an A.N.C.I member, the Italian footwear association and President of the Italian Exhibition of footwear and leather goods of Turin. The AFAST company in the same years developed a joint venture with a Venezuelan company based in Caracas, then in the late Eighties they stopped production right before Andrea Sabioni death in 1990.